To teachers, please pass this post on to your students before the holiday break. 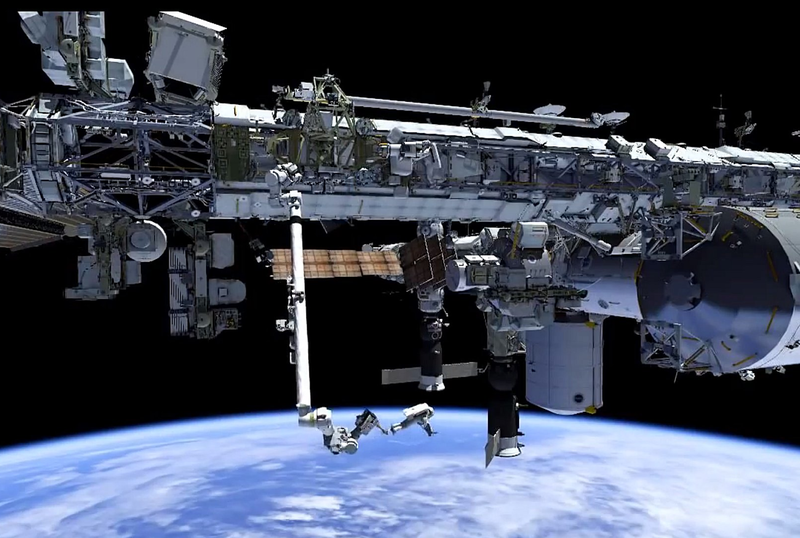 They might be able to see ISS fly overhead during the holidays with their families. The SSEP national team wanted to extend the very best wishes for a wonderful holiday season to the entire SSEP family across the U.S. and Canada. So … we thought it might be nice to provide something exciting to do over the holidays. Depending on your location you might be able to see the International Space Station fly overhead. The International Space Station (ISS) is a truly remarkable laboratory currently located 250 miles (405 km) above Earth’s surface, and traveling at 17,160 mph (27,600 Km/hr) – that’s 4.7 miles per second. It is a massive spacecraft – the largest ever constructed and bigger than a football field, and is one of the most complex machines ever built by the human race. It is very visible from the ground, and regularly flies over your community. So take this as an invitation to your students, teachers, and their families to plan time to view ISS in the evening, or before dawn, as it flies overhead. Here is a wonderful NASA website that will allow you to input your location on Earth, and it will provide dates, times, and duration of visibility for ISS, either before dawn or after sunset. You can even sign up for email alerts letting you know when there will be an overflight. You might even think about planning an ISS observing party, getting a presenter to talk about the universe, and asking local amateur astronomers to come out with their telescopes. You could turn this into a community engagement event, celebrating your community’s participation in SSEP and in America’s and Canada’s Space Programs. But in the meantime let families know they may be able to go outside over the holidays and see a most remarkable machine fly overhead – the second brightest object in the sky after the Moon – REALLY. And you’ve probably never seen it because it’s only visible for 6 minutes or less at very specific times, and in specific directions in the sky. 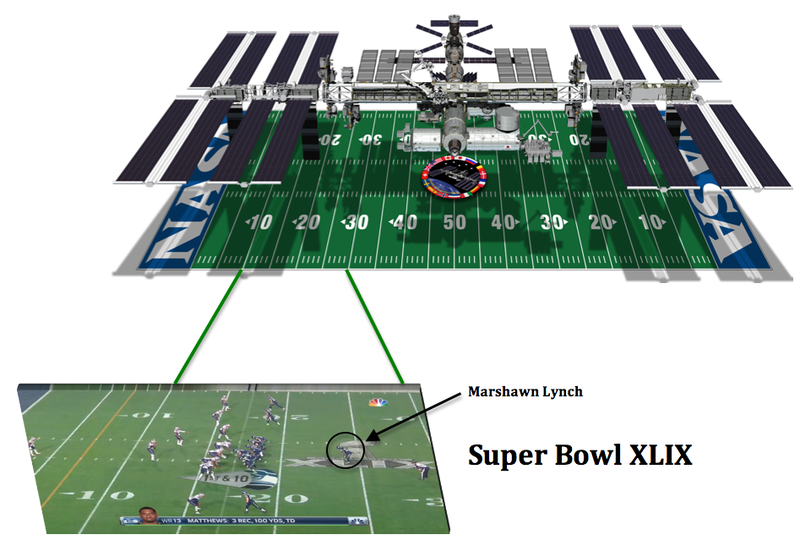 And now for some perspective – did you watch Super Bowl XLIX last February? Hey, sports fans, how’s this for a teachable moment.